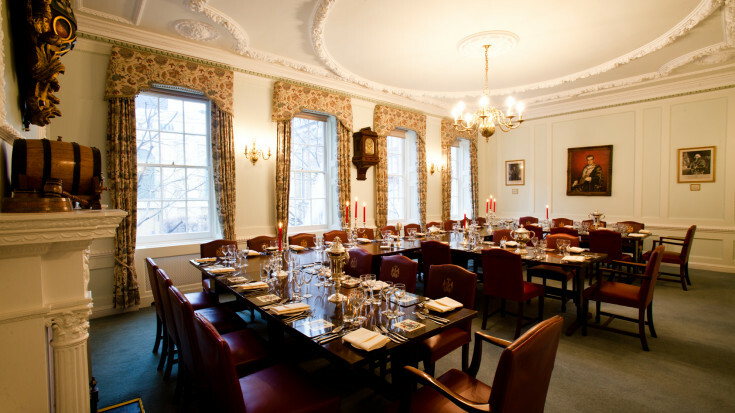 This supper, held in Coopers' Hall, traditionally follows the Court of Assistants Christmas meeting. It is an opportunity for Court Members to reflect on the activities and achievements of the Company over the past year. The Wine Committee selects special wines for the supper from those purchased for the Company's cellar . The price this year has not yet been finalised. We will, as usual, be hosting those who have stepped down from the Court during the year. This event is open to Court Assistants only. Please note that payment for this event will be by Direct Debit.